​Largest selection of dies available. The HOSSFELD UNIVERSAL® Standard Model No. 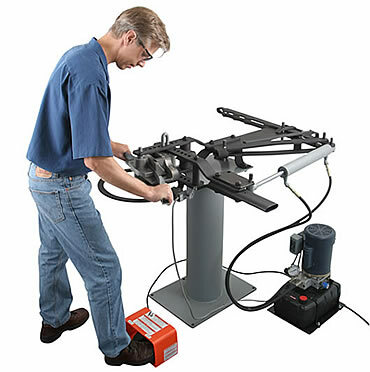 2 Bender is the original rotary-draw bender for all your bending needs: Tube, Pipe, Flat, Bar, Square, Rectangular, Angle Iron, Handrail and more. Dies interchange easily. * Add hydraulic power for heavy stock. ​The focus is on tube and pipe! Same solid steel bender as our Standard Model No. 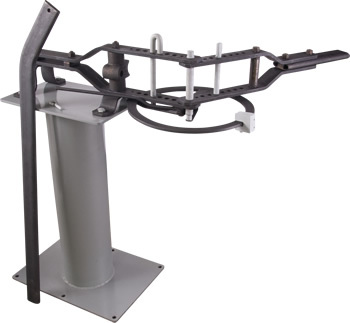 2, but now we ship it with just the tooling you need for bending tube and pipe. You can focus on the dies you need. * AND – you’ll be using the same world-famous HOSSFELD dies that race car professionals use. We have the largest selection of Tube and Pipe dies available. With more than 80 years of experience helping customers with their bending needs, our range of tooling is unequalled. 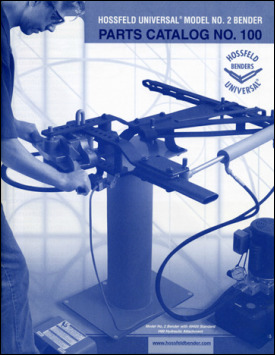 ​Browse our Parts Catalog for our full range of products, and do all the jobs you need with just one HOSSFELD UNIVERSAL® Bender. ​© HOSSFELD MFG LLC. All rights reserved. Hossfeld Universal® is a registered trademark of Hossfeld Manufacturing LLC.